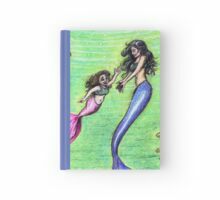 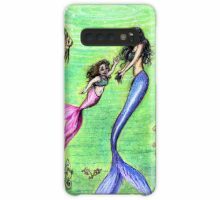 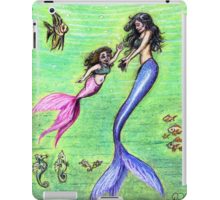 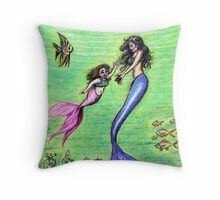 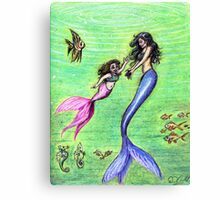 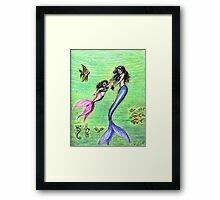 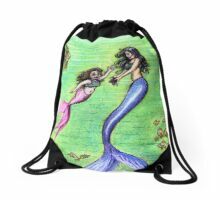 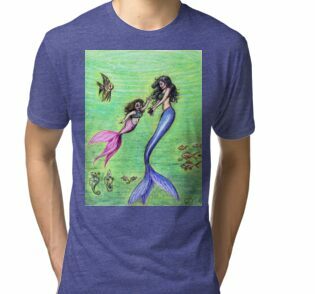 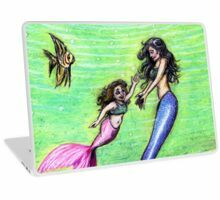 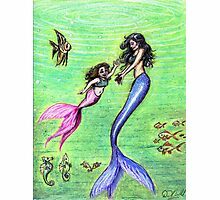 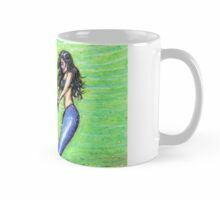 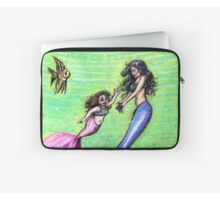 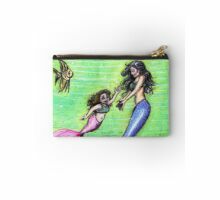 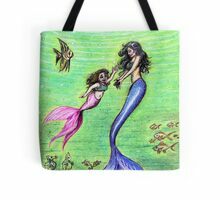 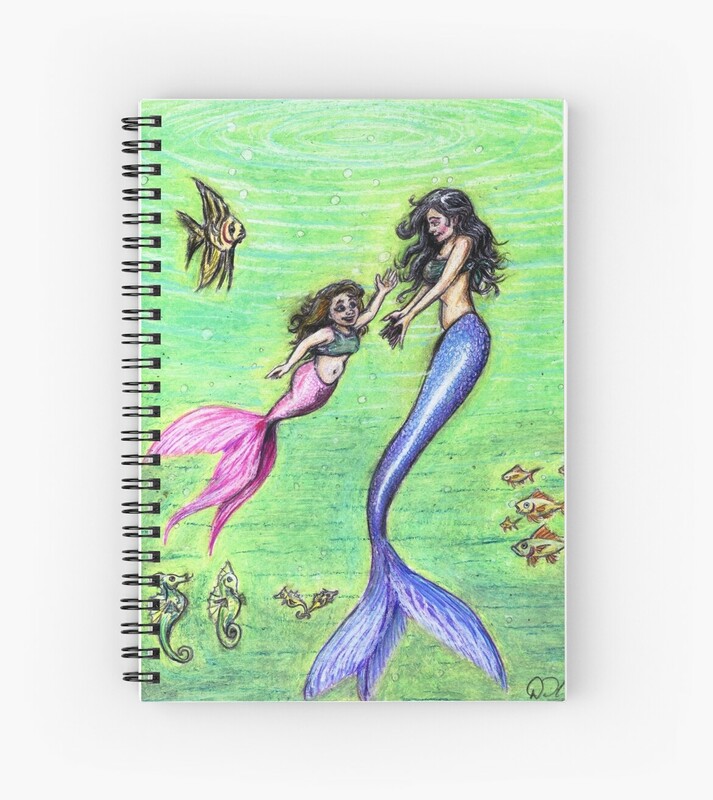 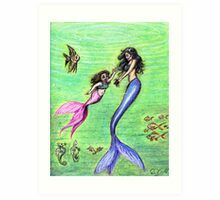 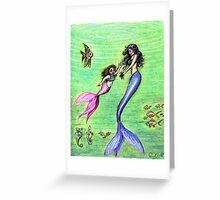 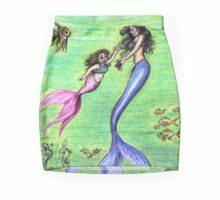 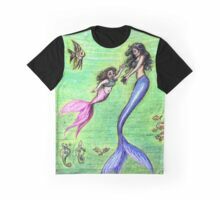 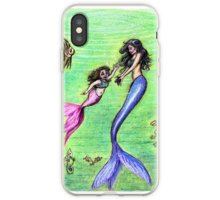 “Mermommy” portrays a mother mermaid swimming and playing with her daughter in the deep green and blue sea. 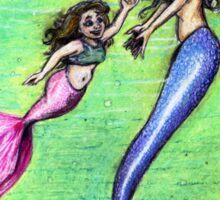 Their dark blue and hot pink fins are brilliantly shiny in the water. 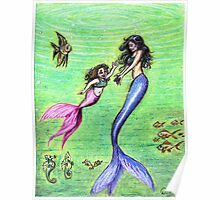 A school of fish watch the two playing, as do a small family of seahorses. 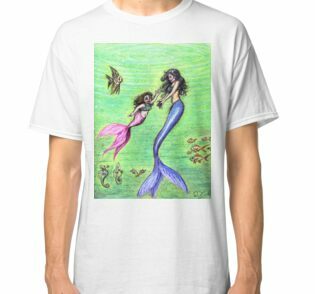 A solitary angelfish watches over them from above.